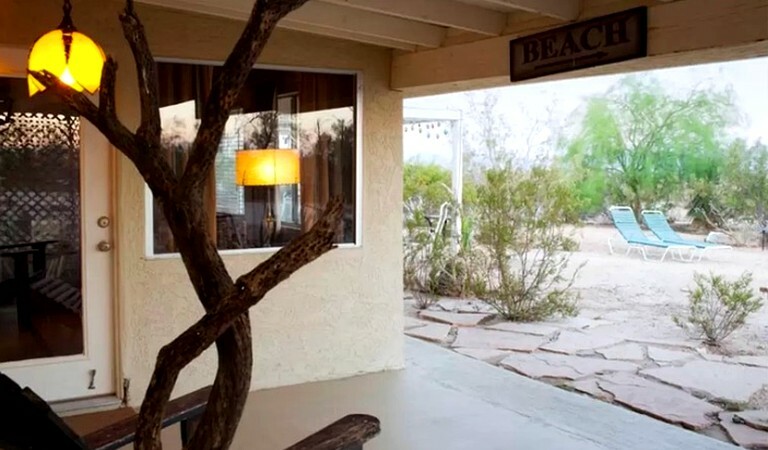 Guests will find this spacious family-friendly cabin in the heart of Joshua Tree in California and it sleeps, 14 people. 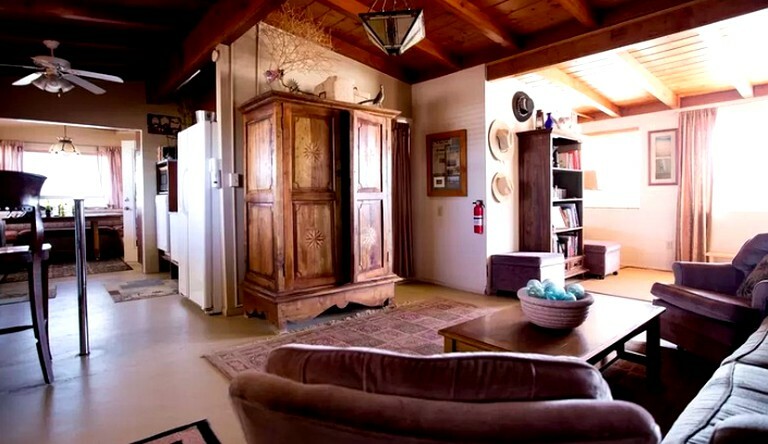 The main cabin sleeps six people but there is also a separate recreation cabin that sleeps six people, and another small cabin which sleeps, two people. 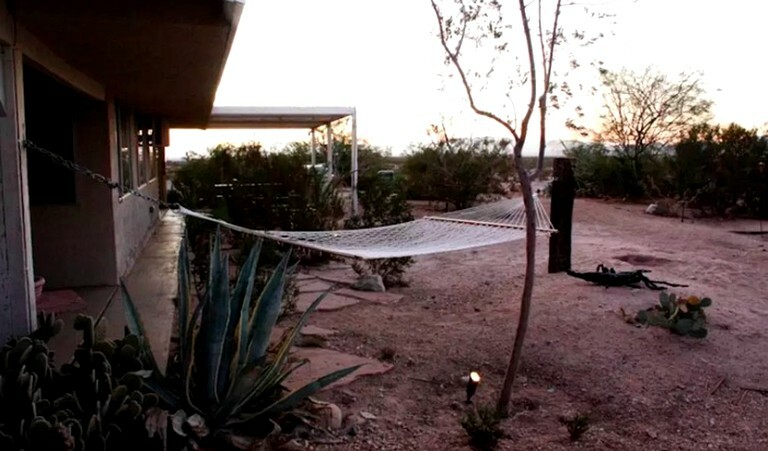 Guests will have fresh linens and towels, along with a fully-equipped kitchen with all the amenities needed to make gourmet meals. The bathrooms also have everything glampers need such as soaps, shampoo, and conditioner. 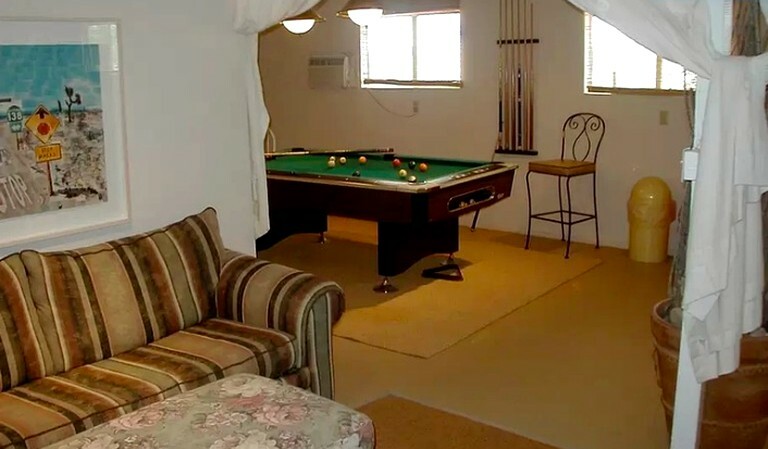 This property has a separate house with a recreational room, complete with an indoor ping pong table and billiards. 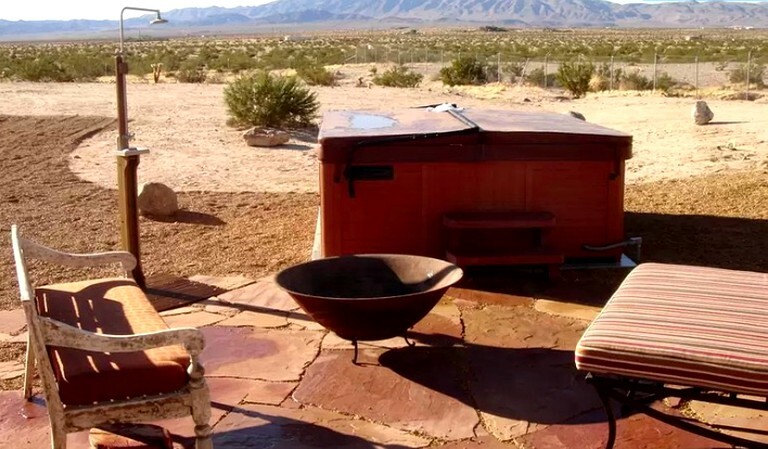 This property also has a Cowboy Tub, Jacuzzi, and outdoor fireplace for those who wish to relax in style. 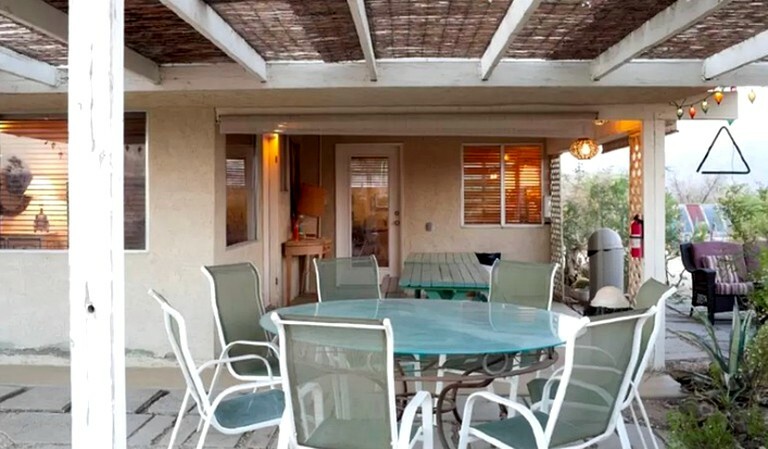 It has an outdoor dining area that comfortably sits 14, an on-site volleyball court, areas to golf and a mesh tented outdoor seating area with fire pit.